From the physics of carving to the chemistry of snakes’ poison, from how mountains are born and die, from the largest crystals in the world to the smallest glacier in Italy, from the evolutionary strategies of plants and animals to resist the cold to the suggestions on what to do (and what absolutely not to do) if exposed to freezing. Natural phenomena, scientific titbits, myths to be debunked and questions that we have all asked: how long can you survive if swept away by an avalanche? How can Bolivian children play football at 4000 metres above sea level without being out of breath? Is it true that larch trees are a privileged target of lightning? Can avalanches and landslides be predicted? 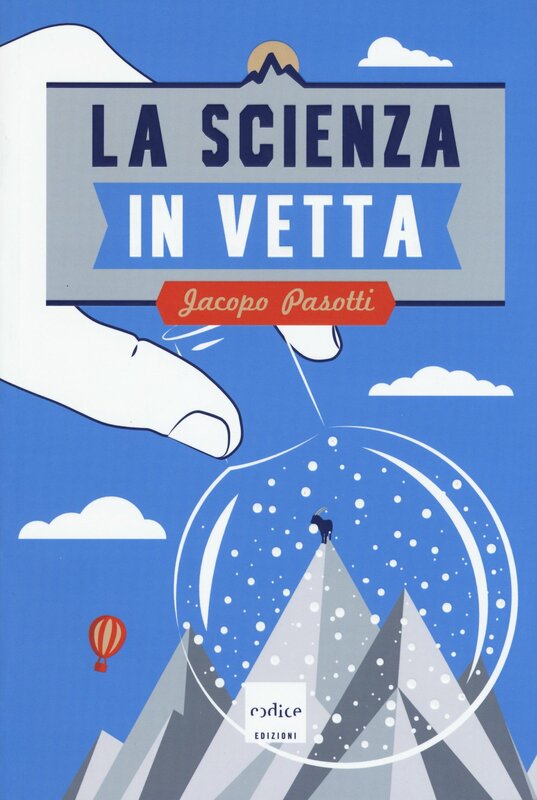 Jacopo Pasotti climbs mountains with the help of science to tell us about them – in the winter and in summer – at every altitude. expeditions to Nepal, the Arctic and the Antarctic. In 2011 he won the Piazzano Prize for scientific journalism. He is the author of stories for children and a chronic traveller. He is the author of “Science in a suitcase”.